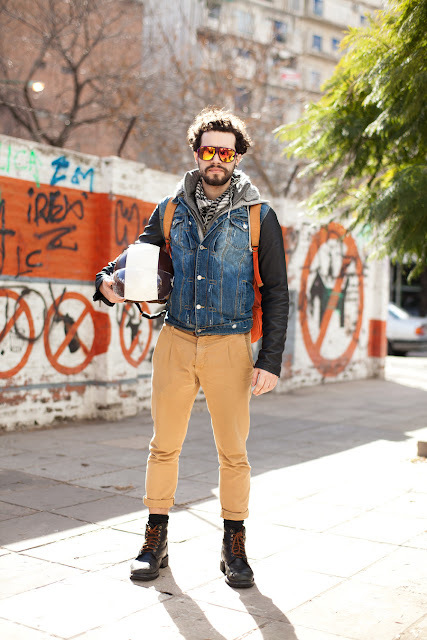 OnTheCorner is perhaps the premier street style blog of Latin America, and it is among my very favorite street style blogs anywhere. 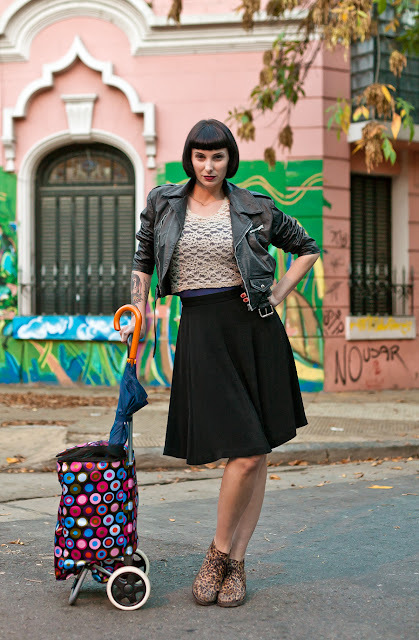 Started in 2007 by Javi Obando and Flora Grzetic, it has become something like Buenos Aires’ answer to Hel Looks, a daily dose of edgy, Latin-infused styles that couldn’t have come from anywhere else. By 2010, it had a large following in Argentina and well beyond, and Javi and Flora began to be inundated with requests from advertisers and modeling agencies to be put in touch with the unique and intriguing subjects they feature in their posts. So Javi and Flora started Crudo, their own modeling agency, and turned their passion for street style into a career in the fashion industry. I spoke to Javi Obando, the photographer behind OnTheCorner, by Skype two weeks back. Here is an edited and condensed version of our conversation. Brent: What’s the story behind OnTheCorner? Javi: It was kind of a natural thing. Flora (Grzetic) and myself met at Palermo University. I am from Ecuador, and she is from a place called Rio Gallegos in the extreme south of Argentinian Patagonia. We both came to Buenos Aires for our studies, and as foreigners — or at least people who did not grow up in the city — people caught our attention, the way they dressed, the costumes that they wore. We were finishing our studies, and neither of us wanted to work at an agency. I was working already with Internet stuff. She was working with fashion, and we were working together at [Buenos Aires] Fashion Week, and we thought, “Ok, we can take pictures of these people and maybe sell them to some magazines or something.” Eventually, we started posting our own blog. There wasn’t anybody doing this in Buenos Aires back in 2007. There were [, in fact,] few other street style blogs [anywhere]. So we thought it was a good idea. 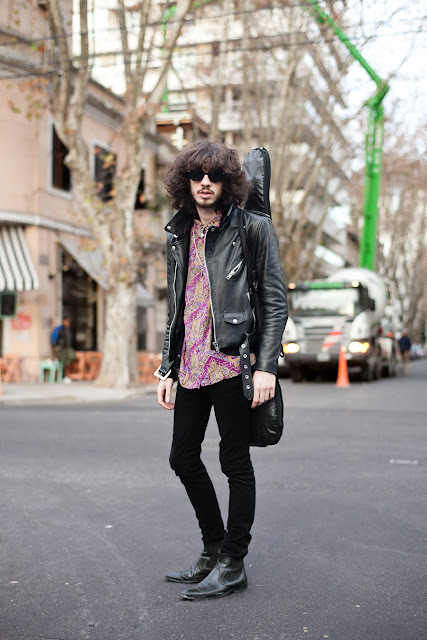 Brent: What street style blogs were you seeing at that time? Were there any that were particularly inspirational? Javi: Of course everyone saw The Sartorialist. Then there was Facehunter also. I remember that from the very beginning I always liked Hel Looks. I always thought it was very nice, and Stil in Berlin. There was another from Tallinn, Estonia. I don’t remember the name of the blog, but I remember their pictures were very colorful, like no other blog. At the very beginning, we were also contacted by this Korean magazine Cracker YourWardrobe. We’ve been publishing pictures with them from the very first issue, so that put us in contact with other street style blogs. Brent: Had you had a background in photography before starting to take pictures for OnTheCorner? Javi: Yeah, kind of. My father gave me this Canon camera when I was 16, and I started taking pictures with film, going to the lab to make copies of it. But it was very amateur. When I was in university, during my last year, I bought this digital camera and I found a lot more opportunities for taking pictures. And I didn’t have to pay for film and (developing) the film and all that, which was expensive for me as a student. Brent: Do both you and Flora take pictures, or is it just you? Javi: No, I am the photographer. Flora is always with me, though. Since she studied fashion, she’s more qualified to assess what we see in the garments we come across. So we work together. We go on our bikes, riding around the city. When we see someone, she goes up to them and says that she wants to take a picture of him or her because of their style. That’s it. Brent: What do you look for in the people that you stop? Javi: It’s kind of a tricky question, because we are not looking for something specific. Flora always says that it’s like love at first sight, like a kind of romantic thing. And it’s true, because you can see this skinny guy with jeans and a white T-shirt, and it’s nothing fancy, but it fits OK. And that’s it. We try not to take pictures of trendy people, you know, people who follow the trends and labels. We don’t like that. We just look for someone who claims our sight, who commands our attention. If we like it, we take a picture, and that’s it. Brent: And is it a fairly instantaneous thing? Do you know right away? Or do you have to kind of watch people for a little while to know if you’re interested? Javi: No. Usually it’s right away. If we take time thinking and all that, people go on. They are always walking. It’s a fast style of living here. Everyone’s in a hurry. There’s a lot of noise. If we’re not fast, the picture is lost. Brent: So earlier you were talking about the fact that coming from Ecuador you noticed things about Buenos Aires street fashion that stuck out to you. So I’m curious if you could explain what some of those things are. What is it that makes Buenos Aires fashion unique? 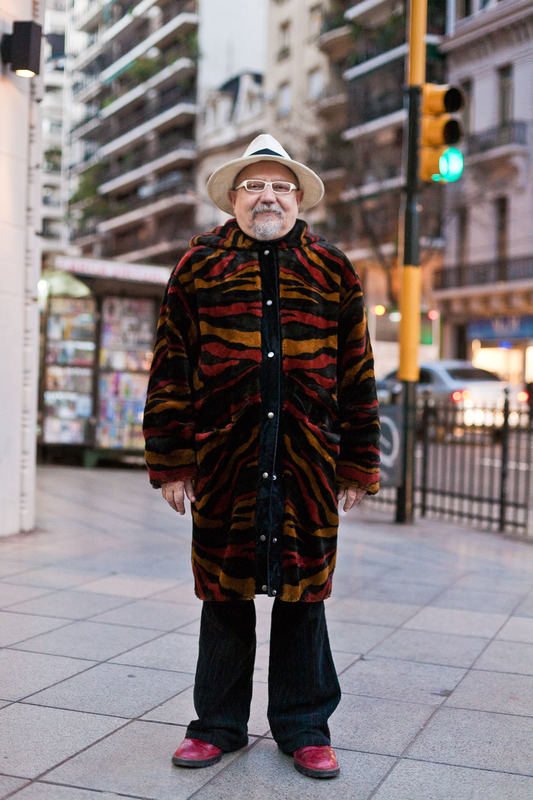 Javi: At some point in the middle of the last century, Buenos Aires was a rich and kind of important city. But now it’s not anymore. It’s like an old lady, who once was a millionaire, but now that her husband died, tries to be in high society, but can’t. So I believe that there is a kind of heritage from that time that lives on in porteños (in Buenos Aires, local people are called porteños, because this is a port city), something that their grandfathers and grandmothers once had, and now they try to keep alive. Young people have to be very creative to do so. They don’t have Chanel stores. The only kinds of luxury brands that we find on the streets are ones our grandmothers bought back from a trip, or which we found at the Salvation Army. I always like the creativity of porteños, the way they mix old luxury garments with bad quality, new stuff from China or somewhere. A couple of years ago, Scott Schuman, The Sartorialist, came here to Buenos Aires with his girlfriend Garance Doré, and we met, and we were chatting, and they were like “I don’t know how you do this here. We’ve been out all morning and we haven’t found anyone.” And they were kind of afraid of taking their cameras out. They were like, “Oh maybe someone will rob us here,” or something like that. So, it’s a complicated city in that way for doing this. A lot people say to us, “You’re crazy. You cannot be with that $2,000 camera on the streets.” But I must say that we have never had any kind of problems. Everything’s been ok thus far. Brent: So, how the reception been of the people you stop on the streets? Do people already know the blog? Do they understand what you’re doing? And how often do you get rejected? Javi: In the beginning there were people who didn’t understand. They were very shy or something. But now we have become very well-known here in town. All the universities, in the majors related to fashion, highly recommend viewing our blog to their students. I don’t even remember the last time someone said “no.” It’s maybe once a week. As a matter of fact, it’s the opposite these days. We’ve been at places or events where other people know we are going to be there in advance, and they pass in front of us with their best garments, and act like “Oh, take a picture of me!” So right now I would say it’s like the opposite. In the beginning, there were some people who didn’t want (their picture taken), but only 1 in 10 maybe. Now it’s significantly less. Brent: Do you have much competition from other bloggers in Buenos Aires? Javi: No. There are a lot of magazines or newspapers that include a street style section, but I don’t think we compete actually, because what we do is very different. We take the time to go out looking for someone special. The other people who do this here do something more basic: go to a theatre, take some pictures. I think no one takes this as serious as we take it. Brent: How long do you and Flora usually spend out looking for people? And how often do you go out? Javi: It depends. We try to make it out every day, but Crudo, our modeling agency, takes a lot of our time. Over the last couple of years, we have also been doing ad campaigns, me as photographer, Flora as stylist and producer. We have this team of make up assistants, the whole bit. So we’ve been working a lot, and it depends on our time. We try to go out every day at least two hours, but it doesn’t happen every day. Brent: Are you able to find people every time you go out? Javi: No. No. No. It’s very difficult. There are times when you come back with no photos. And we, Flora and I, believe that when there is a change of season, it’s more difficult to find people to shoot. I don’t know why, maybe because people don’t know if it’s going to be raining or dry, hot or cold. A lot of the time we go out and we come back with nothing. On a lucky day we take 3 photos. I remember one day taking 6 pictures, but that was only once. If we take one picture, it’s ok. Two, I’m very satisfied. Brent: Do you go back to the same places all the time? Javi: Yeah. We go to around five neighborhoods that are near Buenos Aires’ downtown. It’s a big city. I think there are around six million people, and there are neighborhoods to which we’ve never been, because they are economically disadvantaged and might not be as safe to shoot in. It also depends on what we have to do that day. Maybe we get downtown to get paid a check or something, so we go out with a camera. If I have to go to pay for electricity, I take my camera, because you can find someone anywhere. I just have my camera with me all the time. Brent: So what kind of camera are you using these days? Javi: I’m using a Canon 5D, the old one, not the Mark II, which I also have. In the streets I take the old 5D, which I love. These days it’s kind of a cheap camera, but very good quality. I like the colors with daylight more than the Mark II or Mark III. If the light conditions are not good, though, I’ll take the Mark II. Brent: What kind of lens do you use? Javi: I use a 50mm 1.4 Carl Zeiss, which is amazing. Brent: Do you prefer the 50mm over, like, an 85 or 100? Javi: Yeah, I’m very comfortable working with a 50mm, because I like the distance. I have it in my mind. When we stop someone in the streets we have very little time, so I see a spot and a location, and I know where I need to stand [in relation to] that person. Flora takes the name, age, and occupation of the subject, while I’m looking for a spot, then I tell the person, “Stand here like this,” and I take my picture. With an 85mm it’s different. The perspective is different. Everything is different. And I have to be at a greater distance from my subject. I have to scream, “No, stand like this! ¾ profile,” or whatever. I have an 85mm, and sometimes I take it out. But, it’s a lot more expensive of a lens, and I don’t want to be with that on the street. I prefer to take my 50mm, and that’s it. Brent: Yeah, I can understand. So you and Flora always ask name, age, and occupation. How did you settle on those things being what you wanted to know? Javi: I don’t know actually why. I thought it might be interesting to know the occupation of the person because of the way they are dressed. A lawyer will not have the same liberty to dress as a creative person, because of the environment they work in. So we thought it was important. Age, I don’t know, really. We could not do the age, I suppose. It wouldn’t make any difference. And the name means something arbitrary. It’s just a way of knowing who that person is. Brent: So how do you and Flora feel about ads, sponsored content, paid content on your blog? What are your policies about that? Javi: We feel ok [about it]. I mean, that’s money, and it’s good. But, at the same time, we don’t want to have any massive advertising on our blog. We don’t have a lot of sponsors also. Campari has been sponsoring us for the last three years, because here they are associated with trends and nightlife, so in a way, we are kind of in the same field. So we make content for them. If we didn’t have Crudo, the modeling agency, we might have closed OnTheCorner, because at some point we have to get to work and get a salary. As we see it, Crudo came from OnTheCorner, so I am most worried about keeping on working. I believe that if you keep working, things come. So I don’t focus on get[ting] money, or anything like that. I prefer to keep on doing my thing, and other things will come. Brent: So what is the readership of OnTheCorner like? Do you know who’s reading it? Javi: I think mainly people who study or work in the Argentinian fashion [world]. As I told you before, we know that in the fashion departments of universities our site is highly recommended. We also know that marketing agencies, those who are investigating all the markets and trends and stuff, use a lot of our work to make their work. We know a lot of people in advertising agencies also use our photos for presentations and things like that. 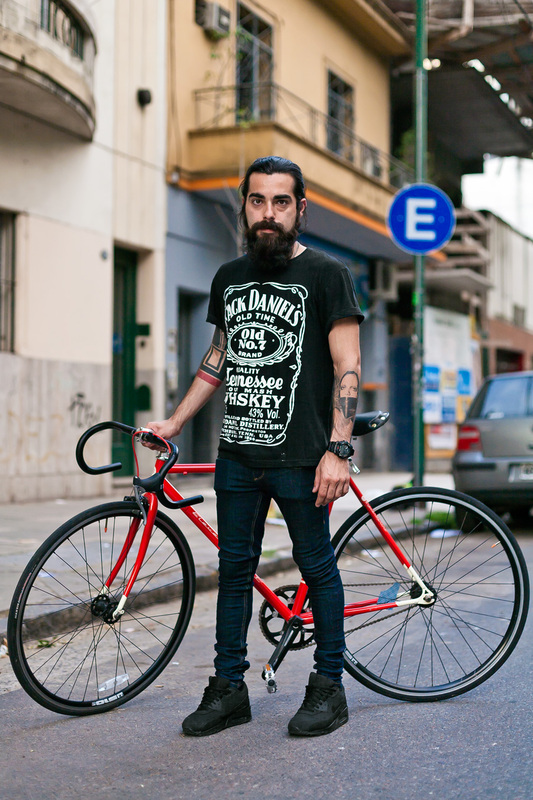 There was a time, like one or two years ago, that street style exploded in Argentina. Everybody finally started to know what it was about. So, like major advertising companies were contacting us for making campaigns and stuff like that. Yeah, I don’t know who else reads it. I believe that fashionistas, people who look for inspiration for getting dressed, do. I think that is the main readership. Brent: Do you think it’s mostly Argentinian? Javi: Mostly Argentinian, and a lot of Brazil, Spain, and Mexico. 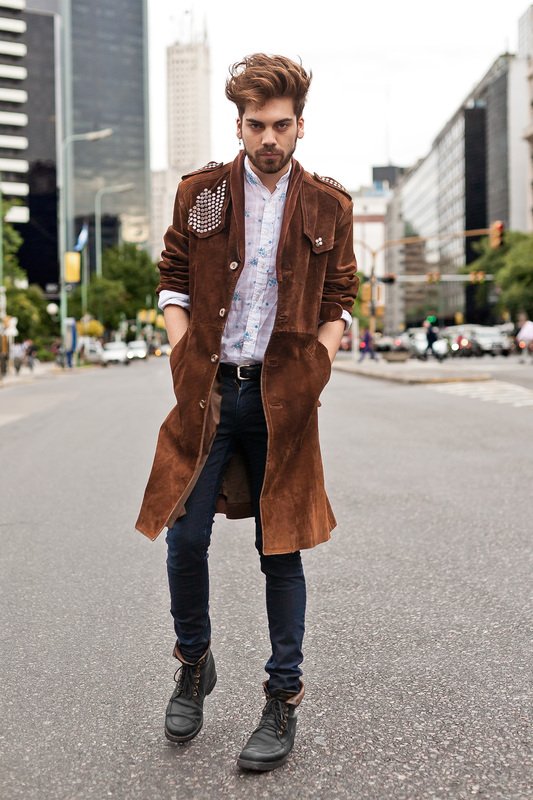 There is no other serious street style blog in Latin America. There have been a lot of blogs, but they never last. In the region we are the only one who is [still] here. So we have a lot of visits from the region: Chile, Peru, Colombia. 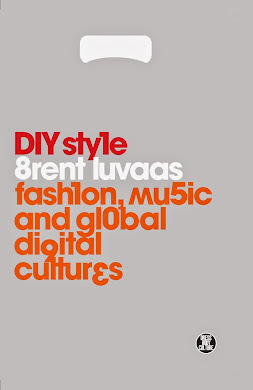 Brent: So what advice would you give to someone who is looking to start a street style blog? Brent: Have you seen street style blogging change much since you started? You’ve been doing this since 2007. A lot’s happened since then. Is street style blogging similar now to how it was then, or is it different these days? Javi: I think that the main idea is the same: show anonymous people the way they dress, not just celebrities. And I believe we keep with that same idea. But Stil in Berlin, that Berlin blog, actually makes more posts about food, restaurants, and lifestyle, than streetstyle these days, and I think that’s ok. I always found many similarities between them and us, because they are also one guy, one girl. Berlin is a lot more modern than Buenos Aires, but because we share something with them, a lot of times we try to follow their lead and take our blog to something more like lifestyle. But we’ve been very busy with Crudo, so we are trying to keep it the way it is. Because we love it. It’s a passion for us. And it has brought us a lot of good things. So we don’t know what else is to come. Brent: Sure. It seems to me too that a lot of the street style blogs that are out there now have switched to something more like street fashion. They take pictures outside runway shows. They do a lot of style icons. OnTheCorner doesn’t have that quality about it. Is that intentional? Are you not interested in the fashion world per se? Are you trying to keep it about the streets? Javi: But we do go to Buenos Aires Fashion Week. That is this fashion week that happens two times a year here. But every time we go, it’s more boring for us. It’s the same people. They are all very dressed up for the occasion. And that’s another thing, we don’t want to get people dressed up for a special occasion. That’s why we don’t go to bars or parties or places like that. We try to get people in their quotidian life. We try to get you going to buy bread. Poni works at the vintage clothing store around the corner from here. She told me she gets asked for her picture in front of this wall like 4 times a week. James Bent got into street style blogging after moving to Singapore to do business consulting for an enterprise software company. His wife, Stacey, did freelance writing and photography for various fashion publications, including her own blog, Style Sophomore, and she and James took the opportunity to travel throughout the region shooting pictures of Asia’s emergent style scenes. 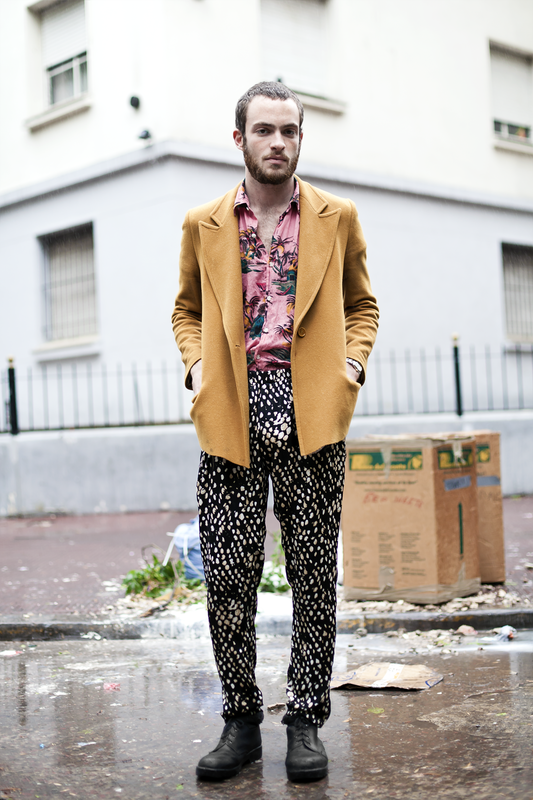 He began his own blog, La Mode Outré in 2010. We began our interview, conducted via Skype on July 15, discussing his job in Singapore. I then asked him how he got into blogging. The following is an edited and condensed version of the conversation that ensued. The accompanying photographs are ones he chose himself as representative of his work. Amy, Taipei. Photo by James Bent for La Mode Outré. James: I came into it [street style blogging] from a totally non-fashion perspective. I studied English and Creative Studies at University, and I was using pictures of people to create characters for short stories. I was finding these pictures off the Internet, like through Google searches, and it was just getting difficult to keep finding pictures. 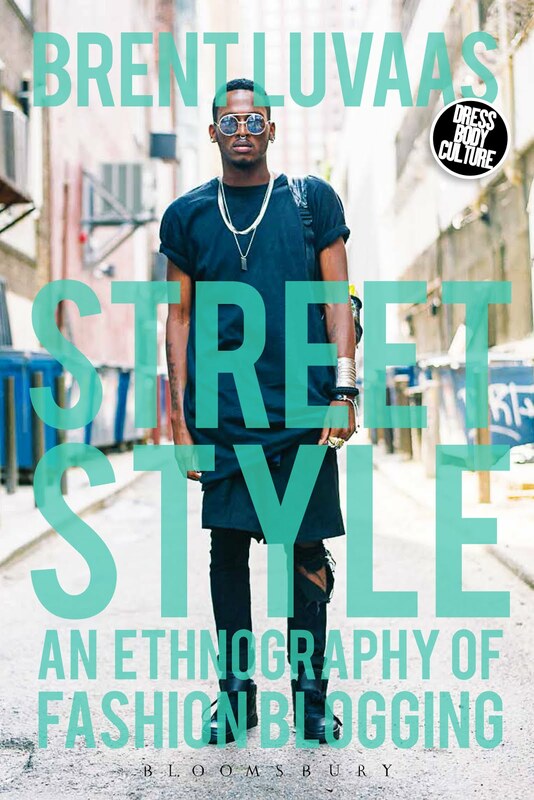 So I went into a book shop, hoping to find a book that was just of regular, modern people, and I came across The Sartorialist’s book, without knowing anything about it or anything about street style, and it was just perfect. 500 pages of pictures of what I thought were pretty, not perhaps “regular” people, but people who would make for good characters. And then about 3 months later when we shipped up to Singapore, Stacey [my wife] suggested to me, “Why don’t you just go out and take your own pictures to write your stories from?” So I did that, and straightaway I went from having a website that I put the stories up on that was getting like 10 hits a day that basically nobody wanted to read it, to suddenly getting maybe two, three, or four hundred people a day looking at them. I was like, forget the stories. Besides this was around three and a half years ago when street style really started to take off, when The Sartorialist and Facehunter had just done their books, and so I realized that it’s the photographs that are the popular things. It just kind of grew from there. I’d say it took a good couple of years to really get my head around it. Bain, Taipei. Photo by James Bent for La Mode Outré. Brent: Considering your background in fiction, do you find yourself interested in the stories behind the people you shoot? James: Right from the start, I realized that what I’m interested in is more the sense of character that these photos show than the stories behind the people in them. I realized that street fashion photography is just not the right forum for getting into their story. It is what it is, and I don’t want to dress it up too much more than that. Brent: I understand. You know, I read on your website that you get asked quite a lot what it is you’re looking for in the people you shoot. I’m not going to ask you that question per se. I think your answer on your website was already enough, but do you find yourself traveling through countries that are foreign to you, looking more for styles that are in some sense already familiar to you, or do you find yourself drawn to styles that are a tad more exotic? James: I think who I am and where I’m from has a big bearing on what I do. I don’t go to Japan and think, “Right, I’m in Japan, so I want to photograph someone in a kimono.” Although, interestingly, now that I’m back in Singapore [after a number of months traveling through Japan, Korea, and elsewhere] I do think it would be interesting to look more at the cultural aspects of this place and take photographs focused on the more cultural stuff that you really can’t find unless you come to these particular countries. But up until now it’s been very much about going somewhere and looking for the things that are pleasing to my eye, irrespective of where I am. Keiko, Osaka. Photo by James Bent for La Mode Outré. 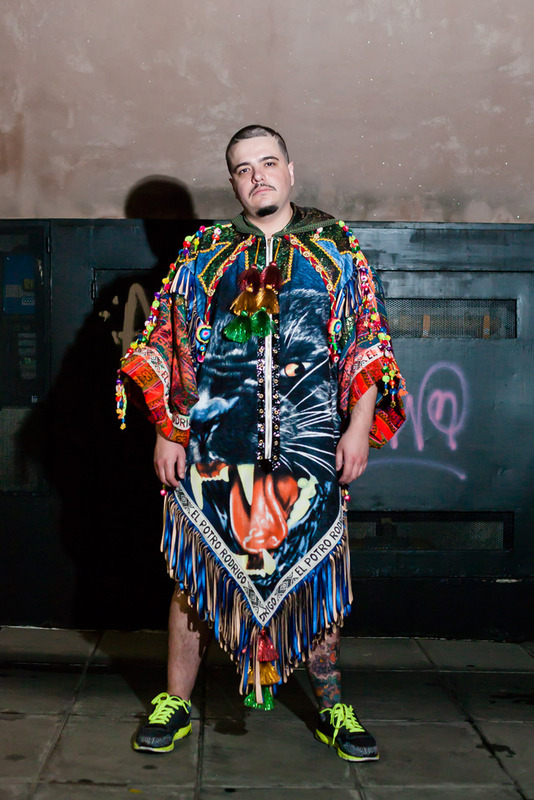 Brent: And how has shooting street style affected your own fashion sensibility? James: I think it’s affected it a lot, because — and I don’t think this is just restricted to street fashion — when you do anything every single day you start comparing and contrasting, seeing what you like and what you don’t like, whether it’s a shape or a line, a color or a cut, or the way it’s all put together. And then you look in the mirror and you do the same thing for yourself. I think one big thing that’s changed is how I look at the fit of clothes and think about how different clothes can fit different body shapes and types, and how other clothes don’t fit those body shapes and types. And I think that’s had a huge impact on me. Brent: When you go to a new country to shoot how do you figure out where to go, what neighborhood to show up in to shoot? What’s your process for figuring that out? Ko, Tokyo. Photo by James Bent for La Mode Outré. James: I ask people who’ve been there or do Internet searches. And then, to be honest, it just takes time. And I think what I’ve realized over the last year and a half — in which I’ve actually been given the opportunity to work remotely and be able to travel and just work off Skype — was that you’ve really got to go to a place for quite a long time, two or three months, before you start really getting your head around where you want to go, and where the good spots are. And in some places, I don’t think there is anywhere in particular to go. Even in Japan, in areas like Harajuku, Aoyama, and Omotesando, which are all right next to each other, there are a lot of nuances you need to learn: what time of day is the best time to shoot, the movement of people, where they’re coming from. It’s not enough just to find the area; you also have to find the exact street and the exact time, the exact day that you need to go. So it starts with Internet searches and then just going in there and getting a feel for it. Plus I actually find that now I tend not to ask anybody anymore about where to go. I’ve just found that over the years, if you say to somebody, “Where are the good areas for fashion?” They’ll tell you to go to a mall. They’ll tell you to go up to this place and you get there and there’s absolutely nothing there and no one around, and it made me realize how little people actually know about what’s going on around them on the streets. It’s quite interesting how unaware people are in some respects. Carmen, Hong Kong. Photo by James Bent for La Mode Outré. Brent: Well, taking pictures out on the streets opens your eyes to that in a way that nothing else can, I think. James: Absolutely. It’s quite interesting. It’s like, we lived in Australia and New Zealand before, and I try to think back now to what Australia was like in terms of what people wore, and I have absolutely no idea. I just didn’t look. It’s not something you really consider until you start consciously looking at it. Brent: Do you think it takes a while to train your eyes to a new place that you go to, in order to see what constitutes stylishness in that place? James: Definitely it does. I find it takes about two weeks. It’s not just training your eye. You go to a new place or you travel somewhere else, and I think for the first week or two you’re just too excited to be there. You’ve just got this energy. You're running around, not discerning too much. But after maybe about two or three weeks, you just start really noticing. I think what I’ve realized now is that — at least the first day — it’s best just to go and sit and just look at what people are wearing and try to get a feel for what you can and can’t see there. But even after three months, I think there’s always going to be something new and something different to see. Outside Zouk Flea Market, Singapore. Photo by James Bent for La Mode Outré. One thing I’m aware of is that — going back to your question about how my fashion and style has changed — there are things that I might have photographed two years ago that I wouldn’t photograph now, or that I’m no longer interested in. So it’s not just how long it takes you to figure out what’s on the street, but it’s also about how you grow as a person. Brent: And how conscious are you of all this as you’re actually out shooting? James: I think always to some extent, because there are always particular fashions, particular styles and trends, where you’re trying to figure out whether or not they work. You see one guy dressed in a particular way, and then another day you see another guy dressed in a similar way, and they both kinda work so you know that it’s right, because you’ve seen it before. But then maybe you see someone coming along, wearing something you’ve never seen anyone wearing before, and it’s always like, “How interested am I in this?” You’ve got 5 seconds to work out, “Do I like it?” and if you do, then you’ve opened up a new avenue. I’m always trying to keep very open and not just be driven by what I know. Brent: Do you and Stacey go out and shoot together, or is it a lone venture for you? James: Very infrequently, because we just argue when we do. I’ll say to her, “What about that person? You can photograph them and sell it to a magazine.” And she might do the same for me “Oh, you go photograph that!” and we end up getting angry with each other! It’s just too much of a personal thing. And also I find that I liking getting into this zone, where you just sit there, and you slowly feel yourself relax into being part of the street. I just find it’s a very personal thing, a very isolated thing, and I don’t like walking around with anyone or talking to anyone doing it. Masahiro, Osaka. Photo by James Bent for La Mode Outré. Brent: Do you think that not having any obligations to sell your works to magazines frees you up in terms of the kind of people you shoot? James: Oh, absolutely. I hate the idea of doing it for money. You know, I did one thing once, I think two years ago for Elle, where I had to get some photographs for them, and I hated it. I really did. For me, to be perfectly honest, I have a job, it pays quite well. It’s a decent job. And I have the freedom still to do my own thing. And I think part of the thing of me doing this, right from the start, has been having creative freedom. In the world we live in, one way or another you have to make money, and if you’re going to make money, you’re going to have to make concessions to what someone else wants you to do. Right from the start, this has been 100 percent what I want to do, and that sense of creative freedom is something that I just don’t see why I would sell or give up. I’ve met quite a few photographers, like Koo from I’m Koo and Nam from Streetfsn, and some of the other people who go to fashion weeks overseas, and they ask me, “Why don’t you do it for money?” or “Why don’t you come to some of these foreign fashion weeks and earn some money?” But that’s not why I’m doing it, and I would hate to do that. It just doesn’t look fun, if I think of it from that perspective. And the amount of money you earn, and also the prospect of long-term financial reward from it, just doesn’t seem worth it to me. Brent: I can understand that, and certainly Koo and Nam and all the scores of photographers who show up outside runway shows are taking essentially the same pictures as one another of all the same people. There’s a kind of predictability and a kind of formula to it. Certainly they’re not calling the same shots about what it is they’re doing. Park Ho Bin, Seoul. Photo by James Bent for La Mode Outré. James: No, and it’s something I think about a lot, because you know, I think they take some beautiful photos. I love Nam’s photos. I think Nam is one of the best people in the world doing street fashion photography. But I think what they do and what I do are two different things in some respects. I don’t know quite what to call what they do now, perhaps “off runway photography” or something. It’s a different thing from what I do, even though we (Stacey and I) do go to a few of the fashion weeks here. We’re big fans of Seoul Fashion Week, in particular. I still think, however, that even that is a very different thing. It almost seems like Seoul Fashion Week is how fashion weeks were in the West around five or ten years ago when it was still very raw and real. I’m just waiting for that to be ruined, to be honest, or at least not be something that I want to photograph. Brent: It’s probably a matter of time. So after having traveled quite extensively throughout the Asian region, what are the cities that really stand out to you as unique, exciting, fashion destinations? James: If we’re just talking pure fashion world, then there’s only two: Tokyo and Seoul. That’s it. The rest of them aren’t really big enough to be in the fashion world. But, if we’re talking in general about what cities are interesting, or exciting, or different, every city is interesting and exciting for different reasons. Even Singapore, which sometimes we can criticize quite heavily for being a little boring or lacking culture or being centered around the business world, it’s still a fascinating place. You walk around the streets and there’s a real mash of culture. So, all of them are interesting. But definitely, for those people interested in fashion, I would only specifically recommend them to go to Tokyo and Seoul. Nayoon, Seoul. Photo by James Bent for La Mode Outré. Brent: Where else are you still interested in getting to? James: I haven’t been to China to shoot. I’ve been to Hong Kong, but that’s not really China in some respects. I’m planning on going to Shanghai, because I just can’t imagine actually being able to do photography in somewhere like Beijing. And apart from that maybe doing Viet Nam and Cambodia. I still haven’t been to Indonesia, because I just haven’t worked out how to do that. Brent: It’s a tricky place to shoot, because there are no pedestrian zones. It’s primarily malls that people get dressed up for. I have tried to shoot in Indonesia and have taken some shots there, but it took me some time, and it was a lot more difficult than I anticipated. James: Yeah, I’ve been doing Internet searches and asking people, and it just comes up a bit like Singapore, that there is no good specific place to do it there. So I think what I’ve got to do is to go to Jakarta Fashion Week or something, and then maybe walk a bit around the street as well. Or else it is going to be the whole go out into the village, and do an ethnic and cultural thing. Wiee Se Young & Park Sinae, Seoul Fashion Week. Photo by James Bent for La Mode Outré. Brent: The Sartorialist is in Bali right now, speaking of Indonesia. His shots, still, are typically more in the vein of curious villagers, rather than high fashion people. James: Yeah, but I feel like with street fashion you have to get to the point where you’ve done around six or seven hundred photographs (edited down) that are focused on modern fashion, and have enough people saying, yeah, we kind of like what you’ve done, to be able to then feel like you’re allowed to go off and show something different. Because if you’re a guy like The Sartorialist, people will say, “He knows fashion” (to an extent), he’s already established himself, so when he’s photographing an ethnic person in a remote village it’s not just like “Oh, this is all he can find.” People still think it’s valid or relevant or whatever. What I’ve never liked about the whole street fashion thing, and I guess the fashion world in general, is that it’s quite shallow. People are driven to only like what is deemed already good. And only people that they trust to tell them what is good can tell them something different, rather than having the faith to find it for themselves. But then, you could also say that "real' fashion is for a small group of people who are extremely discerning. Lewis, Hong Kong. Photo by James Bent for La Mode Outré. Brent: So speaking of communicational issues, how difficult has it been to communicate with people that you’re photographing what it is that you’re doing and why? James: Well, I have an iPad where I have some pictures of photographs on this one page and also I translate into the language of the place what it is I want to do, just to give them a bit of an intro. But you know what? Now I just find, particularly in Japan, you don’t even need to show them anything or tell them anything. 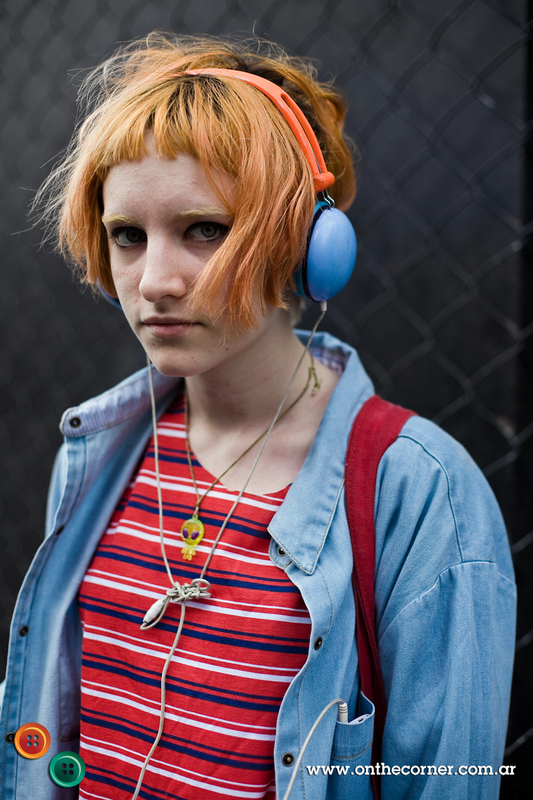 Considering the fact that I’m going to probably the more fashionable or stylish areas, the people I shoot have had their photograph taken heaps of times before. And it’s actually very easy. I find I’ll ask in Japanese and I’ll get halfway through asking them “Can I take your photograph?” and they’ll just say, “Oh yeah. It’s fine.” So that’s very easy. Korea as well now. Korea’s a fascinating place to me, because we went there 12 months ago, and it was really difficult to communicate with people. We’d go up to people and ask for their photo. I’d have it on my iPad, and I’d just ask in English and show them that, and they’d just run away or laugh. To some extent they just didn’t get it. Whereas now, 12 months later, it’s gone crazy. There are so many people doing street fashion there. You know you walk through parts of Korea and there are like 50 or 60 photographers on the street, and if someone fashionable is walking down the street, then they’re going to spend two hours getting photographed by everyone. It’s only when you go to the smaller places like Singapore, or even Hong Kong, or say Thailand or somewhere, where people are a bit shy. But I don’t know. It’s actually really fascinating to me how people everywhere now seem to get the whole thing. It’s like an international thing of “Can I take your photograph?” and to be honest I still find it amazing that people, complete strangers, will let you walk up to them and take their photograph. I actually find that in some way quite nuts. And it’s amazing how easy it is. It’s almost stupidly easy. Linda, Kuala Lumpur. Photo by James Bent for La Mode Outré. Brent: So what is the future of La Mode Outré? James: Well, I’m in discussion with a publisher to do a book, and we’re looking at how viable that is. That could be something that happens. Otherwise I think, to be honest, Stacey and I have gotten to the stage in life where we’ve really got to consider the next steps. I’m probably not going to be able to travel as much, and it’s started to get to a point where I’m thinking, “How much of my life am I going to continue spending every single day going around on the streets, when unless I’m in a place like Tokyo or Seoul, I’m not even going to get one photograph.” I think what I’d like to do is probably visit more fashion weeks around Asia, like Jakarta Fashion Week, Shanghai Fashion Week, Bangkok Fashion Week, KL Fashion Week, because I recognize that having now been to Seoul Fashion Week, where it’s fun and it’s cool, that I can go there for like five days and take two, three hundred photos, but also walk around the street for a few days. I think that’s probably a more realistic way to keep it going. But I’d also like to be able to do a few other things in life. Probably it’s close to the time that there are going to be bigger priorities. Seri, Osaka. Photo by James Bent for La Mode Outré. Brent: And has doing this made you want to pursue other kinds of photographic projects? James: Yeah, it actually does, because, once again, you get to a certain point where you’ve built up a large enough body of work and you do sort of start to say, “How much more do you have to do and what’s the purpose in it?” And I think you do start to think, “If I’ve given this 3 years, and I’ve done some good stuff with this, that moving forward I can now devote less time to it but still keep it going.” And what am I going to do with the other time? Well, if you look at the blog, Humans of New York on Facebook, it’s got nearly a million people following it, whereas if you look at The Sartorialist, he’s got 200,000. It makes me realize that fashion is still a relatively niche thing that only a certain number of people like. And what I’ve realized is that people are much more interested in life in general, without being so discriminating. So it would be nice to go out and do something different, to not have the same stress or pressure to be driven to absolute perfection, or be constantly editing like you have to do with fashion. It would be nice to go out and do something where you do just go out and say, “I went out, took some photographs, and this is life,” where you don’t look at it and say, “Is it good or bad?”, it’s more just a reflection of what’s out there. Rishah, Singapore. Photo by James Bent for La Mode Outré. After I told Tiffany what I was doing, she told me to check out Tribal Revival by Kyer Wiltshire, a photo book on Burning Man and "West Coast festival culture." It gave me a new set of conceptual tools for interpreting her look. "Oh," I thought, "this is what's going on here!" Tiffany was one of the more fun photo shoots I did in Portland and her look one of the more original ones I've seen anywhere. Dorothy got her sweater from a free box somewhere. Her shirt is from a less outre source, Forever 21. Her pants are from "some thrift store" and her shoes are Old Navy. 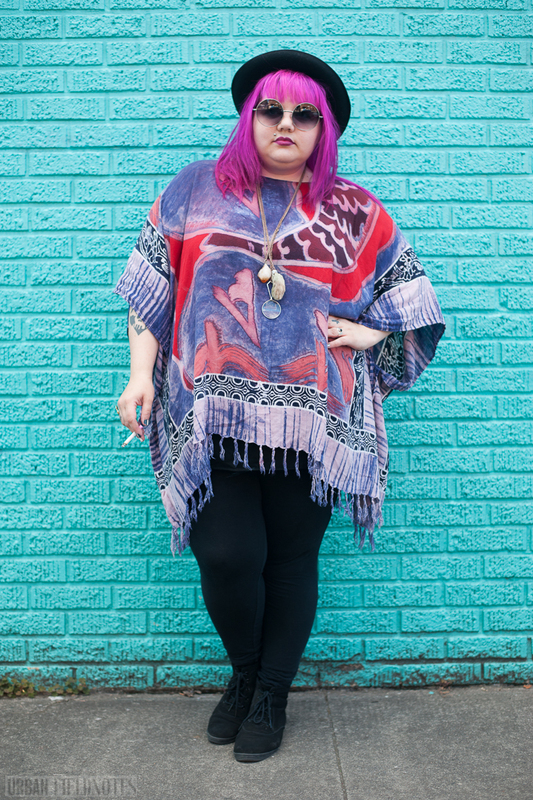 She describes her style as "eclectic," but the kind of eclecticness that results from being a "bargain shopper." "If it's cheap and different," she told me, then it's for her. Her musical taste runs indie, with some of her recent picks including Beach House and The Knife. I recently returned from a trip to Portland, Oregon for my wife, Jessica Curtaz's, solo drawing show at Charles Hartman Fine Art and got a chance to spend a few hours out shooting on the streets of the Southeast quadrant. Over the next two weeks I'll be posting my shots from there. Portland, in the last ten or so years, has risen in the popular imagination to become the undisputed capital of hipster America (or at least the undisputed Northwest outpost of hipster America). Portlandia no doubt helped solidify this reputation, but Portland was doing plenty to earn it on its own. 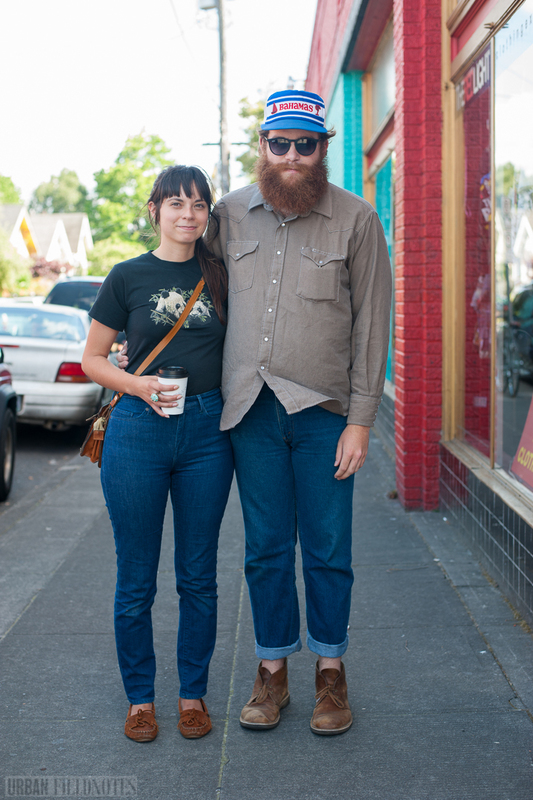 Neighborhoods like Hawthorne, in Southeast Portland, where I shot, are saturated with the unambiguous signs of hipster ambiguity: lumberjack beards and newsboys caps, high-waisted jeans and brown leather moccasins, thick-rimmed glasses and too-tight t-shirts. 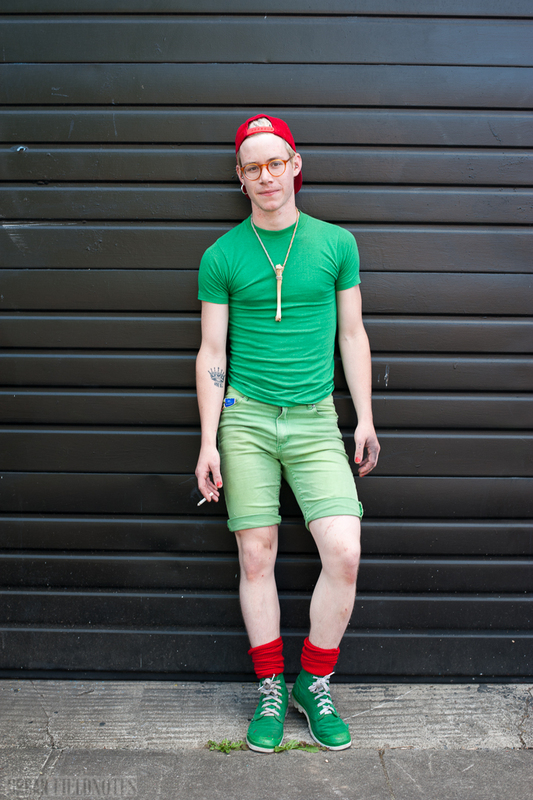 There was no shortage of street style subjects to shoot. And yet, getting people to let me shoot them was no easy feat. The first two people I asked turned me down. That hardly ever happens. In Philly my rejection rate is around 3 in 100. In Portland it turned out to be 3 in 10. Anna and Michael were among the kind 7 who allowed me to take their picture. I dig their Pacific Northwest casualness, their clever combination of urban and backwoods elements, and, of course, Michael's giant beard. Are they Portland typical? Well, that would be kinda hard to argue, since they recently moved there from San Francisco. But then Portland beckons its own. And Anna and Michael fit in just fine. Michael is a portrait photographer, and we talked cameras and lenses. Thanks to Michael, my new lens lust is for a 35mm f1.4. Great. I needed more things to regret not being able to afford.